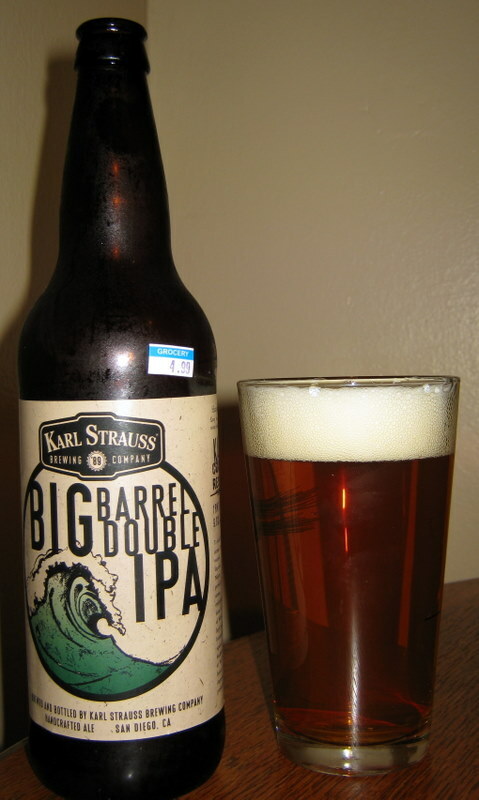 Posted by Jeff Hammett in beer reviews, breweries, karl strauss brewing co.
Karl Strauss Brewing Co.’s Big Barrel Double IPA qualifies as a double IPA by the numbers at 9% ABV and 90 IBU. The big hop aroma and taste should satisfy most hopheads, while the fruity Nelson Sauvin hops and big malt backbone make this easily drinkable by those that typically shy away from hoppy beers. Big Barrel Double IPA has a huge hop aroma, slightly floral and definitely fruity with no hints of pine. Karl Strauss describes it as tropical fruit and I’m reminded of mango’s. It’s fairly citrusy as well but not the typical grapefruit smells, it’s more orange citrus. The taste is much the same. The initial taste is slightly sweet caramel malts and then the sweet and fruitiness of the hops hit. The finish is fairly dry and more bitter thanks to the use of Warrior and Ahtanum hops. This beer doesn’t taste like it’s 90 IBU at all and also masks it’s alcohol well. The mouthfeel is a bit thick, probably from the extreme amount of malt they must have used to balance out the hops, but it’s certainly drinkable. This is a great beer, not a hophead’s dream DIPA, but certainly good. I drank this with a few people that in their own words typically hate IPAs and hoppy beers, but loved this. The kegs and bottles currently around town are from the third batch brewed by Karl Strauss, this beer is limited but I’m not sure it’s seasonal as it was brewed last fall, this spring and again now if I recall correctly. It’s available on draft at Karl Strauss and other bars as well as in 22oz bombers. It’s also priced extremely well at about $5/22oz. 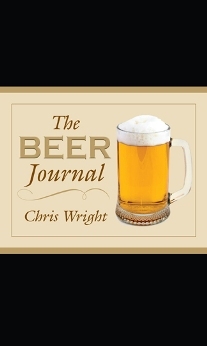 Last month I (along with at least one other beer blogger, and certainly more) got an email from Skyhorse Publishing offering to send a review copy of The Beer Journal by Chris Wright. A few weeks later the book arrived and I’ve spent some time flipping through it’s pages and thought I would share some thoughts. It’s a hardcover book of about 260 pages, it’s too big to comfortably fit in a pocket but would easily fit in a bag or purse. The aim of the book is to be a tasting log, it’s solid construction is something that will help it hold up for those that want to keep long lasting notes on the beers they drink. 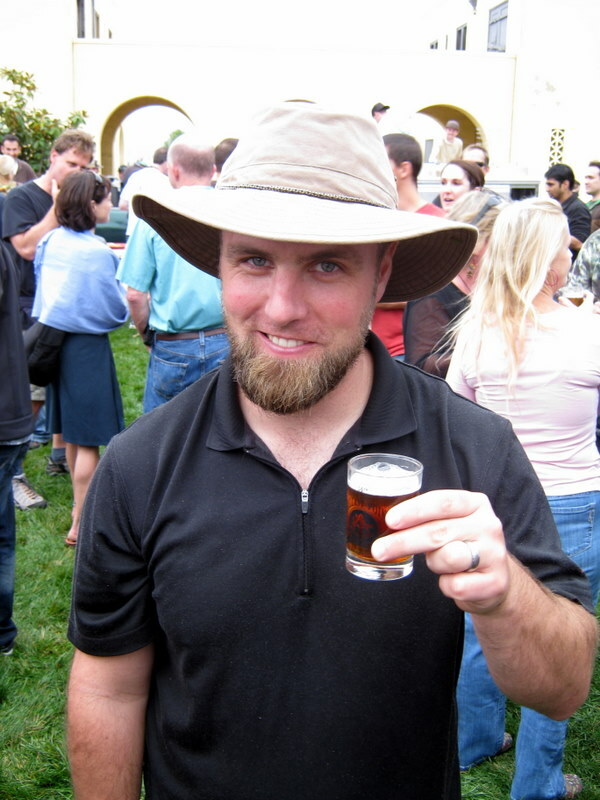 The first 25% of the book is a listing of beer styles, seemingly taken from the BJCP website. One thing that I found a bit disappointing about the listings is that they styles are listed but commercial examples of each style are not listed. There’s a short section on tips for tasting beer as well as proper glassware and then about 100 pages of beer tasting logs. The listings are comprehensive, but maybe overkill. I often take short notes when tasting beer but I don’t think I would ever bother to list the awards a beer has won or the specific brewer (not the brewery, but the person that brewed it). I also chuckled a bit when I saw the room for the brewer’s autograph. I’m sure there are people out there that would want to get the brewer’s autograph, but I’m certainly not one of them. In addition to the individual beer log there are short sections along with accompanying note taking space for beer festivals, cellared beer, and beer and food pairings. This isn’t really a book for me. But that’s not to say that other’s wouldn’t find it useful, I have a friend that has a very similar journal for wine tastings. At $12.95 it’s not a bad price for a solid journal that should last a while and you can keep a record of many beers and beer events all in one place. But myself, I prefer to scribble notes on random pieces of paper and sometimes blog about beers. 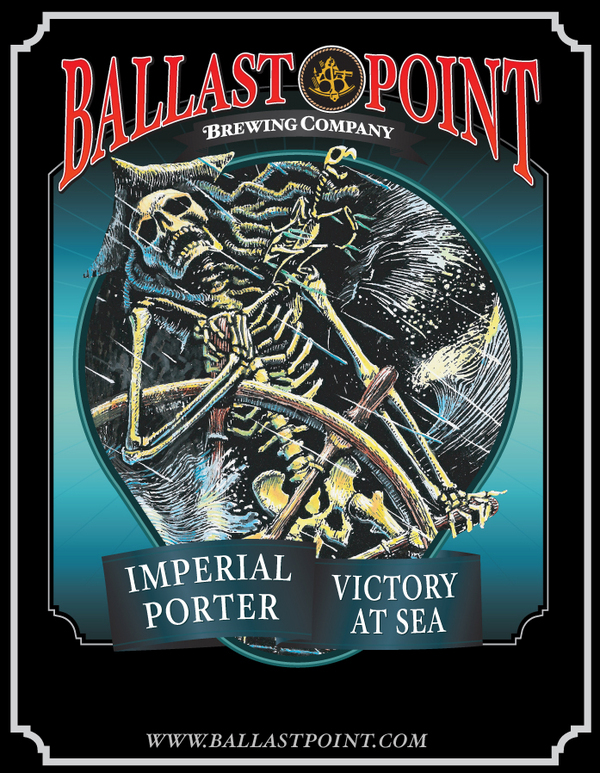 2010 Ballast Point Victory at Sea released today! Ballast Point Brewing Company will be releasing the 2010 Victory at Sea bottles in less than an hour if all went well with bottling this morning. 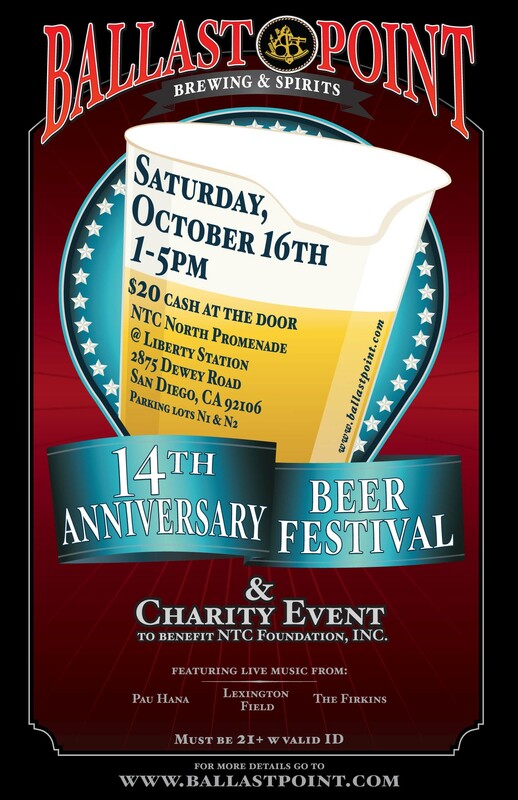 Below is the info Ballast Point sent out yesterday. 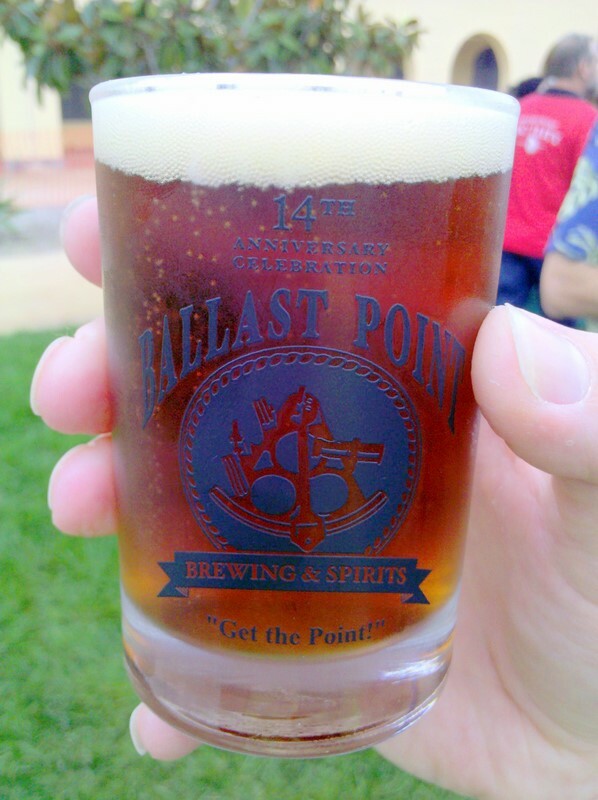 The Ballast Point Brewing Company 14th Anniversary party this past Saturday was a big hit. Held at Liberty Station in Point Loma and only $20 for 10 tasters it was quite the deal. Ballast Point had at least 40 beers on tap and there were plenty of guest breweries on hand as well. The festival was pretty full but not overly crowded and the only real complaint I heard all day was the lack of water. There were no water stations as far as I could tell and not even any drinking fountains inside the festival. (Sure, some people were complaining about the lines for the bathrooms, but it’s a beer festival, a bathroom line should be expected). Below are some notes on the beers we tasted as well as a few pictures from the event. Ballast Point San Salvador Saison – Brewed using local ingredients (including pine nuts, agave, elder flower, white sage, manzanita berries, curacao and local sage honey) and described by Ballast Point as tasting like the San Diego countryside, this was the beer I was most looking forward to. It smelled and tasted of sage but wasn’t over powering. It was fairly malty and it was obvious there were more exotic ingredients than just the sage but I couldn’t identify anything else. Not much of this beer was made, but I’m hoping it will show up either at one of the Ballast Point tasting rooms or a bar or restaurant again before it’s gone. Ballast Point Habanero Sculpin IPA – Ballast Point’s extremely popular Sculpin IPA with a bit of a habanero kick. This was another one I was looking forward to. I was at the Ballast Point tasting room about five years ago and tried a sample of what they were simply calling “Habanero beer” at the time. I don’t remember all the details, but it certainly wasn’t Sculpin with Habanero. Habanero Sculpin was hoppy, with hardly any habanero flavor coming through over all those hops, but it had a nice spicy aftertaste. Not too much heat came through, just enough to let you know it’s there. I probably wouldn’t take a pint of this over a pint of regular Sculpin, but it’s a nice little variation. Ballast Point Sour Wench 2010 – I had never had this before so I decided to go with the 2010 instead of the 2009 which they also had on tap so I could see how it was fresh. It smelled a bit like Parmesan cheese but tasted like blackberries, sweet and tart. Ballast Point Cocao Nib Black Marlin Porter – It’s been a while since I’ve had Black Marlin Porter, so I can’t compare this to the regular version but this one both smelled and tasted strongly of chocolate. The four ounce taster was good, but I’m not sure I could drink a full pint of it. The Bruery 7 Grain Saison – A fairly straight forward saison. Good earthy yeast smell and maybe even some cereal malts. A good representation of the style. Ballast Point Fathom India Pale Lager on cask – Hoppy but not over the top. It’s enjoyable but I wouldn’t see myself drinking this over Sculpin if both were available. Ballast Point Schooner Wet Hop Ale – I was a bit disappointed in this one. Maybe it’s because I tried it right after Fathom, but it seemed far less hoppy than I expected and I didn’t get many of the fresh hop flavors that typically stand out in wet hopped beers. I’m hoping to try this one again soon with a clean palate. La Jolla Brewhouse Pariah IPA – A good standard IPA. It’s not over the top with the hops, but has plenty of flavor. 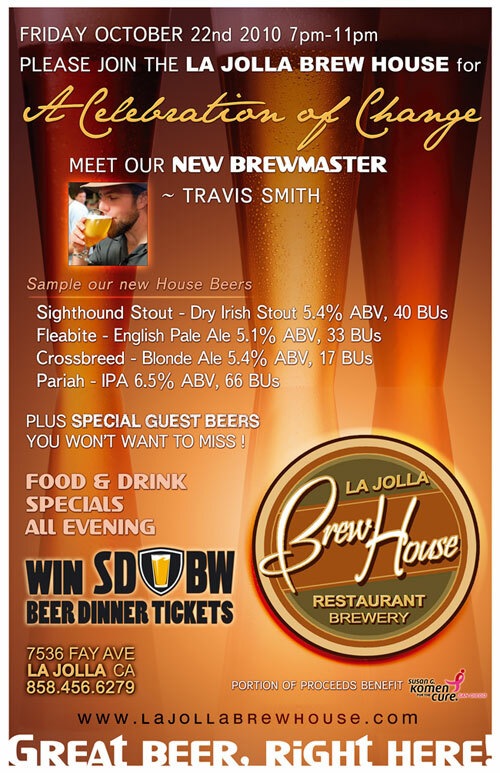 This is one of the new beers from La Jolla Brewhouse’s new Brew Master Travis Smith. I’m looking forward to try more of this and his other beers soon. Firestone Walker Velvet Merlin on cask – This beer is partially aged in bourbon barrels, but I didn’t get much of that in the small taster I had (I’ll be sampling more soon though!). It was rich and creamy, oatmeal and chocolate stood out. Mike and Ryan from West Coaster were on hand volunteering, click on their names to read each of their takes on the festival, pouring two of the most popular casks there. Calavera, which means “skull” in Spanish is a small Mexican brewery specializing in types of beer typically not found in Mexico. 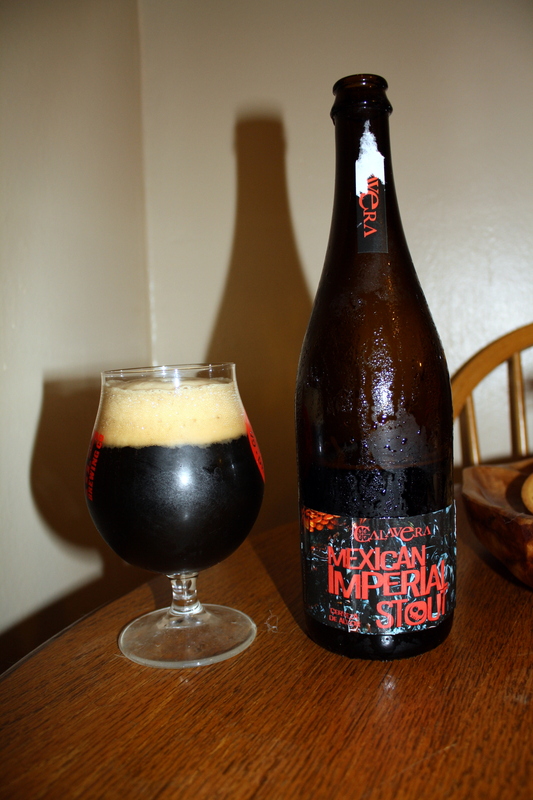 I picked up a 750ml bottle of Mexican Imperial Stout at The Beer Box in Tijuana. It’s bottle conditioned and weighs in at 9% ABV and used chili peppers for a very Mexican take on the style. It pours black letting no light through with a solid tan head. The alcohol comes through in the smell as do the hops, I can also smell chili peppers. This is a beer that needs to be drank fairly warm. The label recommends 10-13 degrees Celsius (approximately 50-55 degree Fahrenheit). Bitterness from the hops and roasted barley dominate the flavor. The alcohol is very apparent. The finish tastes strongly of chili peppers, there isn’t much heat or spiciness, but the flavor of chilies. This is a beer I would love to age and taste with a few years on it, hoping for the hops to mellow out a bit and let the sweetness of the malts and maybe even more of the chili flavor to stand out. But I’ve been warned that Calavera’s current bottling system is inefficient and the possibility of oxidation is high. This beer isn’t easy to find (it’s not distributed in the US) but if I can ever get my hands on another bottle I will age it for a few years to see how it stands up.